We all get those periods of extreme tiredness for some reason or other. Is extreme-tiredness letting you down? entertaining the neighbourhood’s collection of hyperactive kids. Or maybe wedding season has seen you burning all the candles at all their ends. But when the tiredness does not lift after a period of rest and sleep, it is an indicator that something else is wrong. Your body is alerting you to something deeper, and we ignore this sign to the detriment of our health. Just as overwork or over-exertion is caused by our lifestyle, the feeling of being constantly tired is also linked to the lifestyle choices we make. A major symptom of gluten food sensitivities is extreme tiredness, also known as chronic fatigue. You may be eating foods that your body finds difficult to digest. If you have switched to whole grains in a bid to be healthier, you may in fact be putting extra strain on your digestive system because these grains contain anti-digestive chemicals that your body cannot break down. The extra energy your body has to dedicate to dealing with these foods often leaves little in reserve for our over-committed lifestyles. Other common foods that are difficult to digest include dairy products, namely the sugar element called lactose. High fibre vegetables such as broccoli can also cause problems as the undigested particles feed bad bacteria and can cause an imbalance in gut flora – bacterial overgrowth such as candida has been linked to chronic fatigue. When your body is dealing with foods it considers to be harmful, a complex immune response goes into action to neutralise the perceived threat. Your body directs a lot of energy into fighting the invader, taking it away from other functions considered less important, including the digestion and absorption of nutrients from food. Imagine this response as a ship with a torpedo heading right for it: the alarm blasts out and all hands immediately take up their emergency positions. No one on board is going to be concerned with keeping the deck clean or feeding the crew! But what if that torpedo alarm goes off constantly? Eventually the crew are exhausted and starving, and nothing can function properly. This is what happens in your body when you consistently eat foods that your body is sensitive to. And the result is just the same: exhaustion and starvation of real nutrients. This cause is often a consequence of the food problems described above. Our digestive process is where your body begins to convert food into energy by breaking it down into easily absorbable elements. If your digestion isn’t working properly, is overloaded by hard-to-digest foods or damaged by food sensitivities, you’re screwing with the system! Your body can’t even break down and absorb the nutrients from the good stuff you’re giving it. This leads to deficiencies of essential vitamins and minerals, which in turn can lead to conditions such as anemia. This is a vicious cycle commonly associated with severe tiredness. It feels cruelly ironic that even though you are so tired, sleep is elusive. We then try to counteract the fatigue with stimulants such as coffee and sugary soda drinks just to get us through the day. It’s a tough cycle to break but it’s essential as the use of stimulants can lead to adrenal fatigue, making the situation even worse. 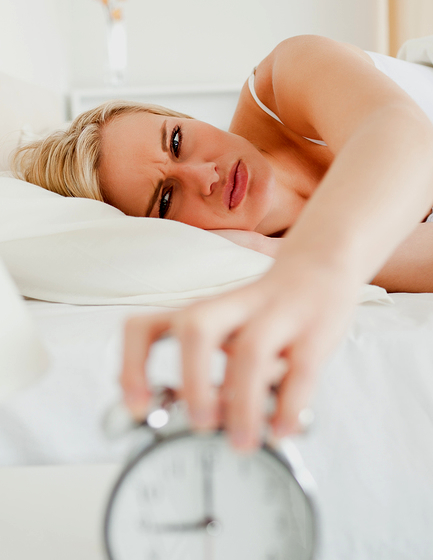 Are you suffering from an extreme tiredness that isn’t alleviated by sleep? If so, you are not alone. There are over 1 million diagnosed sufferers in the USA and 250,000 in the UK. And those are just the diagnosed figures, with many more struggling through life undiagnosed and wrongly thinking they are failing where others are succeeding. Whilst it can be useful to give a name to your condition, it’s really just the start of getting better. Figuring out the often-complex causes of your fatigue is absolutely vital if you really want to regain normal energy levels. A big part of my coaching tackles food sensitivities and correct nutrition because it is often a major contributor to this type of extreme tiredness that casts a fog over all of your life. Do you think the food you’re eating may be a cause of your extreme tiredness in one or more of the ways described above? Comment below and tell me which foods you think may be the culprits. If so, would you consider eliminating these foods for a short period to find out for sure?